Every kid on the planet loves French Fries and being that my mom was Italian, I was sold pretty quick. 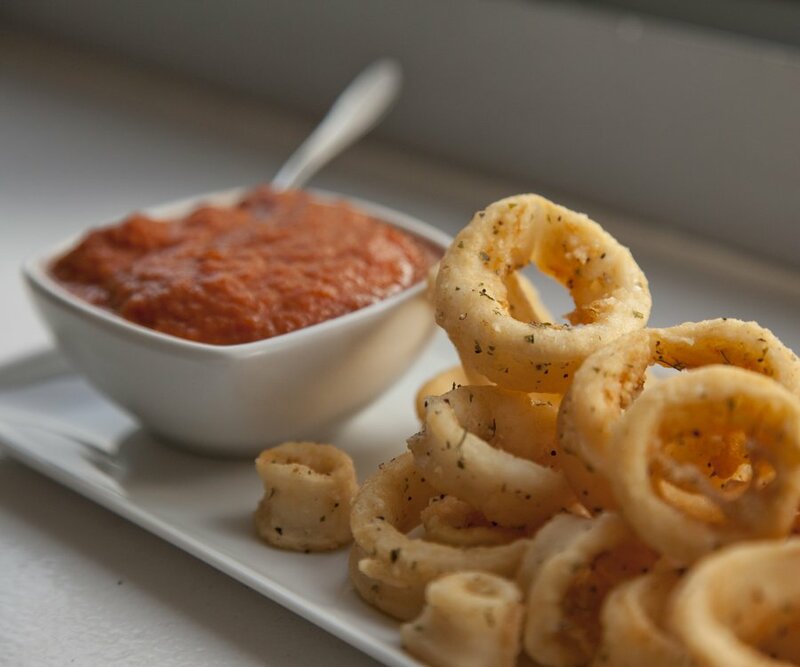 Served with a side of Marinara Sauce, I basically completely housed the entire plate of said “french fries”. It was only a few years later, when out at an Italian Restaurant, after now learning how to read (I was a slow learner…. 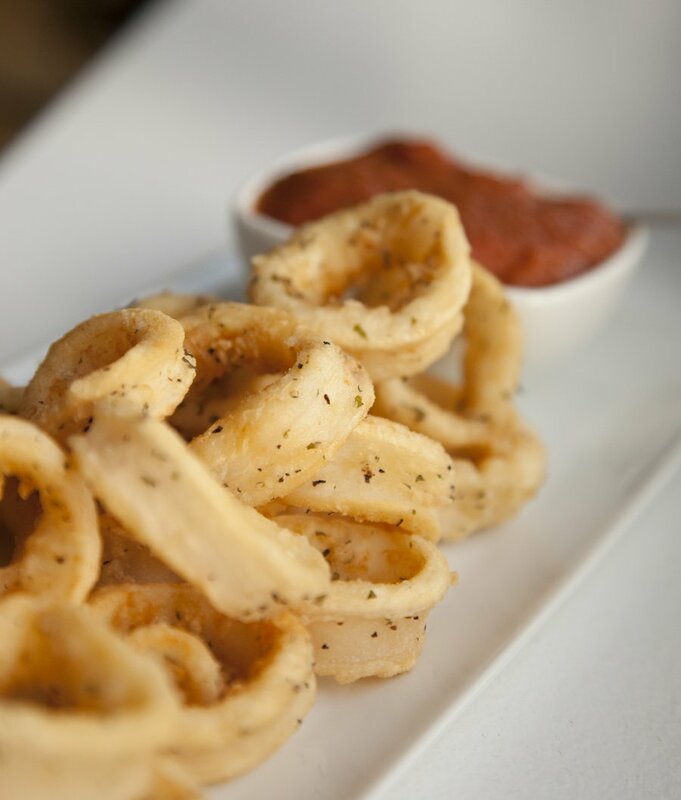 ), that I read the fine Italic print under the Calamari Appetizer on the menu…..”Fried Squid”. Ummm say wah? Dad, did you deceive me?! Was my childhood based on a lie?!?! Ok calm thyself, young Sara. 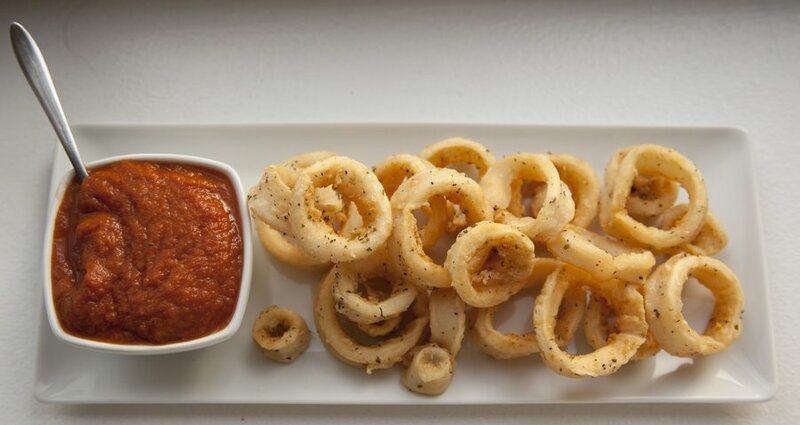 Alas, it was true….squid was what I loved all these years. Scarfing down entire plates of fried goodness only to find out it was some slimy creature from the deep. I quickly got over myself and realized, who cares what this is, it’s delicious! So with that, tonight, despite it being MY birthday, I insisted on cooking this as an appetizer! They came out great and I have also attached my awesome Homemade Marinara Sauce Recipe which, I can’t tell a lie, I came up with on the fly tonight and it was AWESOME! 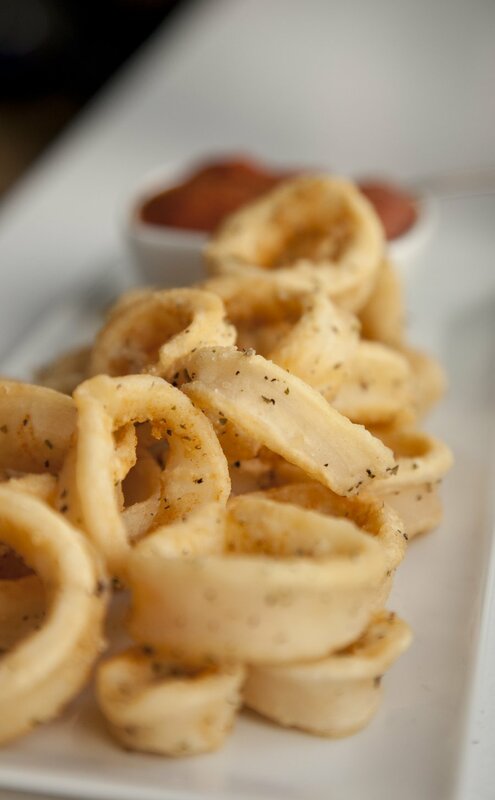 Cut your cleaned squid into 1/2 inch wide rings. In a bowl, combine your flour, salt, pepper and parsley together. Heat up a fryer with Canola Oil to 370 degrees. 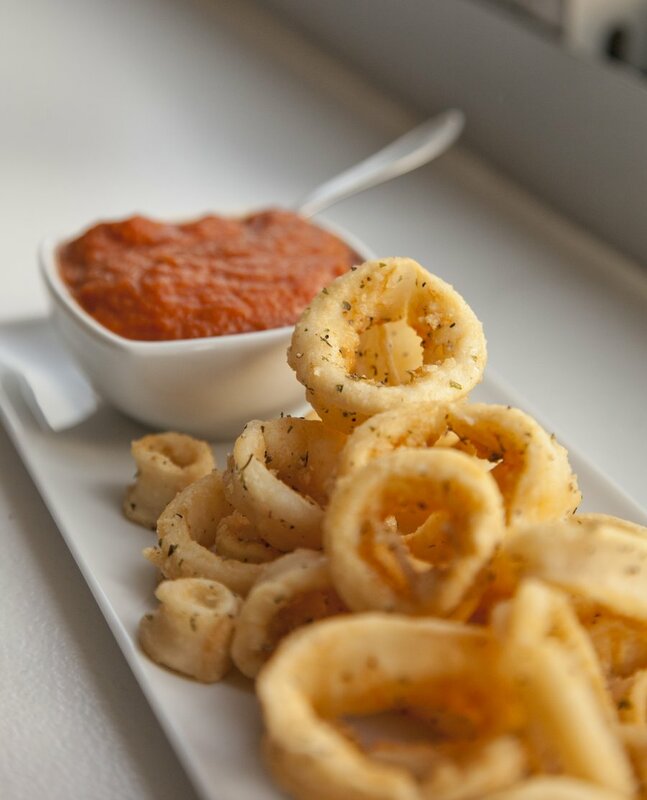 Dredge your calamari rings all over in the flour mixture, shaking off any excess flour before putting in the deep fryer. Fry til golden brown and let drain on a resting rack. 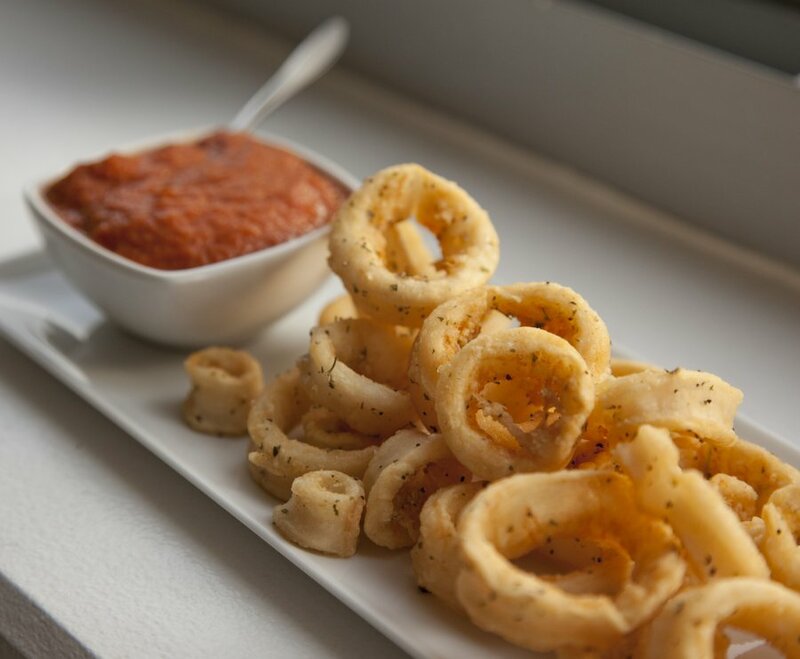 Serve with Marinara Sauce (recipe below).